I met a really cool artist in my web wanderings tonight. Her blog is called Misty Mawn and one of her posts included a mosaic self-portrait that she made at this online mosaic generator. Needless to say, I spent my evening uploading, and then downloading photos, saving the ones I liked best. 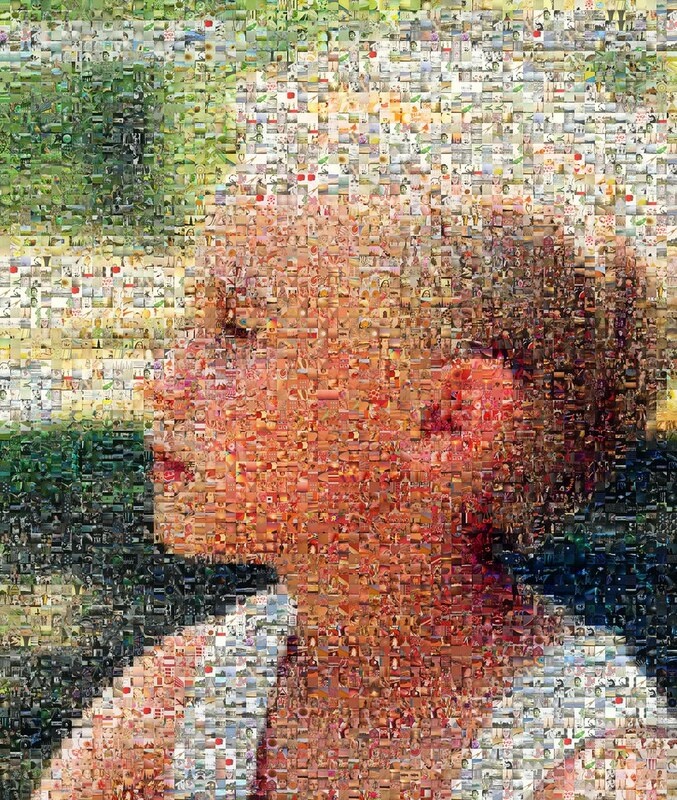 If you click on the portrait of my son Andy, you’ll get a larger view and you will be able to see that his image is made up of thousands of other tiny images. It’s really quite beautiful. Give it a try and have yourself a lovely, art filled weekend! This entry was posted in generators, photos, websites and tagged gadgets, my life, photos by Lilli Day aka bookbabie. Bookmark the permalink. I can see I’m going to have fun playing with this one! Damn those things are cool.